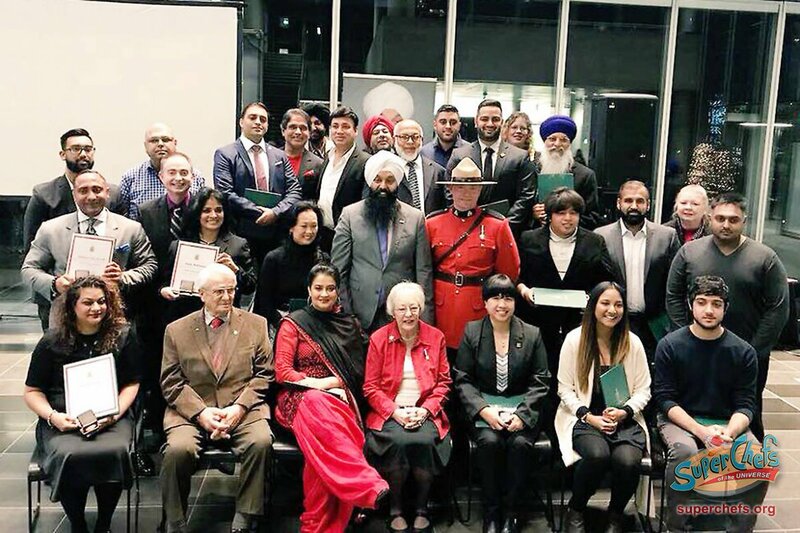 SURREY — An appropriate number of guests attended a special Canada 150 Community Awards event hosted by Surrey-Centre MP Randeep Sarai at Surrey City Hall on Sunday evening (Dec. 3). Yes, a reported 150 people were at the event, including 31 award recipients. The award recognizes “individuals living and/or working in Surrey Centre who have demonstrated excellence in our community,” as part of a Liberal government program celebrating the 150th anniversary of Canadian federation. With friends and family in attendance, the award-winners were given ‘Canada 150’ medals by Sarai. In the Entrepreneurialism category, the winners are Raj Toora, Dale Lutz, Don Murray, Sucha Seikhon and Charan Sethi. Leadership awards went to Faiyaz Khan, Anita Huberman, Musa Ismail, Inderveer Sodhi, Deepak Sharma, Bonnie Burnside and Dr. Ramen Saggu. For Outstanding Service, the award winners are Sgt. Jag Khosa, Rochelle Prasad, Dr. Greg Chang, Josh Waltman, Ashiana Khan, Gyani Narinder Singh Walia, Harjinder Singh Thind, Meera Gill and Shayne Williams. Law Enforcement category winners are Prabhvir Tiwana and Kalwinder (Kal) Dosanjh. Heroism awards went to Alex Sangha and Rachel Fehr, and medals for Volunteerism were given to Daryl Dela Cruz, Brenda Dudfield, Narinder Singh Sandhu, Narima Dela Cruz and Gary Johal. There were many nominations, Sarai told the award winners. “You should feel especially proud because your award was not solely a selection made by me, but a selection made by the entire community, as they were involved in submitting your nomination applications,” Sarai stated. Surrey-Centre MP Randeep Sarai (second row, middle) with Canada 150 Community Award winners at an event at Surrey City Hall on Sunday, Dec. 3.